This page serves as your entry point to learning more about Roofing and Shingles. Browse through all the sections, or just a few. At any point feel free to Request a Free Roofing Quote for further information regarding roofing costs. 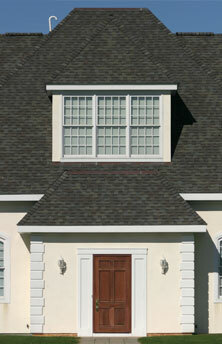 Information On repairing and Replacing Shingles...Read More. Provides Tips on How to Find and Repair Leaks in your Roof...Read More. Provides Tips on How to Maintain your roof...Read More. Also known as "slope," pitch is the change in roof height (or rise) for a horizontal distance (or run). Pitch is one of the most important factors in determining roof durability...Read More...Read More. What to Look for when Inspecting Your Roof For Damage, Factors that Can Damage Your Roof...Read More...Read More. Examines the 5 Components of a Roof; Structure, Decking, Roof Covering, Drainage, and Flashing...Read More...Read More. A solid roof is your first line of defense against the harsh outside elements; no other home renovation project can do as much to protect your home...Read More...Read More.